Nature Travel is excited to announce we can offer you very special packages for the Red Sea Jazz Festival, 20 July – 2 August, 2012. 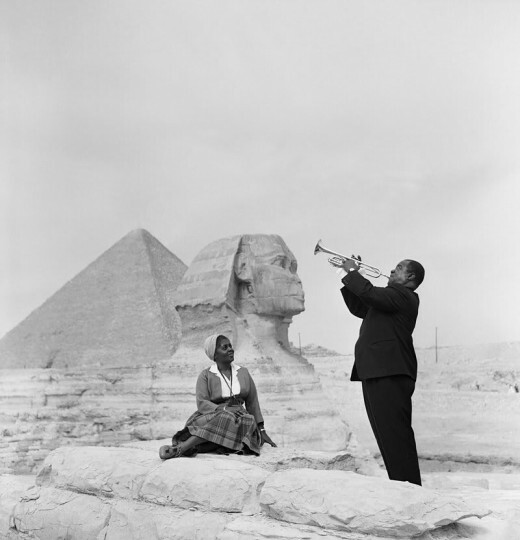 As good as Louis Armstrong at the Pyramids? We know you will love the Red Sea Jazz Festival. The Eilat Port, Israel, is hosting the Red Sea Jazz Festival, a unique Jazz experience which brings together a mixture of the finest Israeli and International Jazz performers as well as the sun of the Red Sea. The tour packages we offer include full access to all the Red Sea Jazz Festival performances and a special dinner on a yacht with some of the festival musicians. Only a few hours away from Europe, the Middle East and Sinai (accessible from Taba International Airport, Egypt) you can combine four wonderful summer days and the beach with high quality Jazz performances and workshops. The Red Sea Jazz Festival is a heaven to Jazz lovers from all over the world. Don’t miss out, join us this summer in Eilat, the resort town on the shores of the Red Sea. It’s going to be sun and fun… it’s going to be Jazz ! Nature Travel can also provide tours throughout Egypt before or after your time in Eilat. Even if you have only a short vacation, with just an extra day you can visit Sinai and see St Catherine’s Monastery or explore Cairo with us, in addition to attending the Festival. Information in Arabic will be available on our website soon. Enjoy 4 nights of non-stop jazz in Eilat – (30 July-3 August, 2012). Including full access to all the Red Sea Jazz Festival performances and a special dinner on a yacht with some of the festival musicians. Jazz at ease, offers you the comfort of a pure jazz vacation. Including land transfers from Tel Aviv airport to Eilat and return, lunch and float at the Dead Sea, 5 nights in Eilat (29 July – 3 August, 2012), full access to all the Red Sea Jazz Festival performances and a special dinner on a yacht with some of the festival musicians. Treat yourself to a marvelous jazz vacation – private assistance at the Tel Aviv airport and domestic flight from Tel Aviv to Eilat (and return). 5 luxury nights at the executive rooms of the Hilton Queen of Sheeba in Eilat (29 July-3 August, 2012). Private day tour to Petra (Jordan). Full access to all the Red Sea Jazz Festival performances – with a private transfer from your hotel to the festival and a special dinner on a yacht with some of the festival musicians.